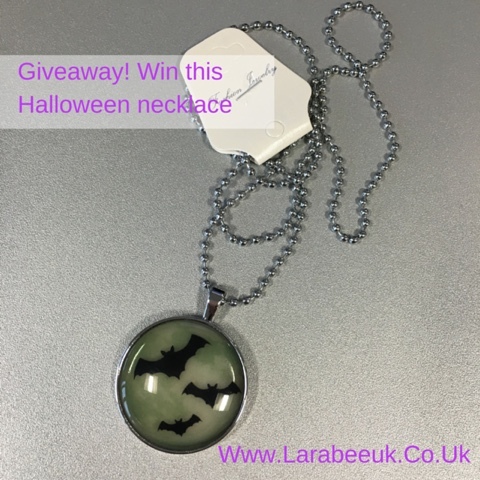 Enter to win this glow in the dark bat necklace. No review, no comment, just make sure you follow me on Twitter and visit me on Facebook to enter! Open to UK residents only I'm afraid. Over 18's only. Ends Midnight 26 October 2015. Will post first class on 27 October 2015.